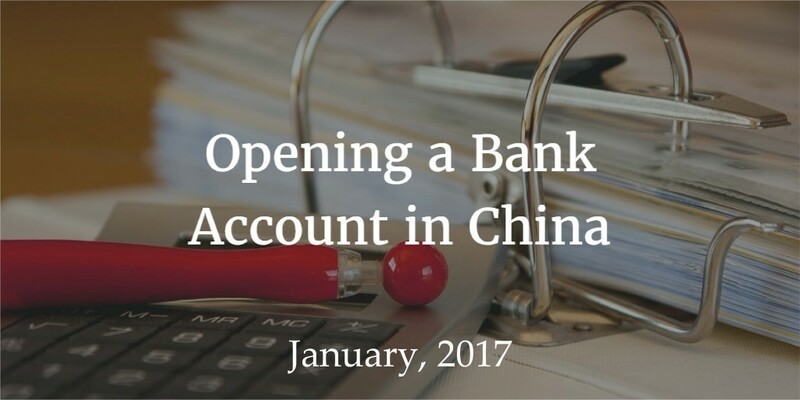 As a new entrepreneur in China, one of the first things you will need to do after your new corporation paperwork is approved is to open a bank account. Without a China corporate bank account, you will find that it is difficult to smoothly conduct business in the country. Today, foreign investors do have an easier time opening a corporate bank account than they once did, but the Chinese banking system is still very complex. There are many restrictions placed on foreign investors, and navigating these restrictions and requirements can be made even more difficult if you are not fluent in Chinese. While the banking system in China is primarily operated by the government, it has modernised and adopted a number of international banking norms. There are also two other banking options available in addition to the state-operated banks. Policy banks can be found mainly in rural areas. These banks specialise in trade and economic development. There are also city commercial banks which deal mainly with urban development and the growth of small and medium size businesses. You will also find that a number of international banks have branches in China, including DBS Bank, CitiBank, Bank of East Asia, and OCBC. If you already bank with one of these financial institutions, you may find it easier to use one of their branches rather than open a new account. As you can tell from the names, the latter three banks originally were formed in order to develop specific areas of the economy. It is important that you go to the appropriate bank when trying to open an account. For the majority of international companies the first and only choice will be to use the Bank of China or BoC as it is commonly known. In order to open a bank account at any Chinese bank, your corporation must receive a confirmation of interest document from the bank. This legal document shows that the bank is interested in having your company as a client. In order to obtain a confirmation of interest, you will need to submit a number of your own documents. You will need to submit a due diligence document and your corporate documents you submitted to be approved to do business in China. As with the paperwork you submitted to the government, the documents you submit to the bank will need to have been translated into Chinese. Even after you submit your paperwork, the bank will likely want to have an in-person meeting where they can ask questions about anything they are uncertain about and you can sign the documents opening your account if approved. As a foreign investor, we highly recommend you have an interpreter on hand who understand the financial world. Our experts can assist you in this task because we understand the nuances in translating banking terms. It is vital that you understand exactly what you are being asked and what you are signing when you open a bank account. Once you submit your documents, there will be a wait time. It is not unusual for the processing of your documents to take four weeks or longer. When you have received your bank account number, it may take an additional three to four weeks for your online banking account to become active. With our many years of experience Fung, Yu & Co CPA Limited can guide you through these processes with the minimum of difficulty. As a foreign-invested entity, you are likely going to need to open two different bank accounts. One is called a foreign currency capital contribution account. This type of account is required for foreign corporations. It must be approved by the State Administration of Foreign Exchange (SAFE). This account is used to receive funds from investors who are located outside of China. The other account is an RMB basic account. RMB is the shortened form of renminbi, the name of the official Chinese currency. Your corporate RMB account is used to withdraw cash and to make payments in China. It is also usually used as your designated tax payment account. Many foreign investors may be tempted to simply use an international bank account because it requires less work to set up or because they are already using that bank. However, there are a number of reasons why you may want to establish an account with a bank in China, in fact, the Bank of China corporate banking services are at least the same level of service as other international banks. First, it may actually take longer and require more documentation to open a bank account with one of these international banks. Even though you may be able to submit your documents in English instead of Chinese, the amount of paperwork may be much larger. It may also take longer to have your bank account approved. Second, there are many more Chinese commercial banks in China than there are branches of international banks. If you have a Chinese corporate bank account, it will be much easier to find a local branch of your bank than it is to find a foreign bank. This can be much more convenient. Finally, most of the businesses you will work with in China will have accounts through a local bank. It is easier and faster to conduct transactions between Chinese banks than between an international bank and a Chinese bank. While your paperwork will need to be submitted in Chinese and you may need a Chinese financial expert there when you open your account, much of your daily business can be done in English. Most Chinese banks provide access to accounts via the internet. These websites are often available in Chinese and English. You can view your account balances, authorise transactions, and even make your tax payments online. If you need any help setting up your Bank of China corporate banking account in China, you can contact us at Fung, Yu & Co. Our team of experienced staff have helped many foreign investors set up their Chinese bank accounts, and understand the complexity of the system. Contact us today for more information.